Why would I need self storage in Puyallup, WA? There are a variety of reasons why you might need self-storage in Puyallup, WA. How much is a storage unit in Puyallup, WA? The cheapest storage unit in Puyallup, WA is $20.00 per month. What size storage units do you have available in Puyallup, WA? In Puyallup, WA we have sizes that range from 5'x5' to 10'x30' to suit your storage needs. How much is it for a 5'x5' storage unit in Puyallup, WA? The cheapest 5'x5' storage unit in Puyallup, WA is $48.00 per month. Puyallup is a midsize town in western Washington, known for its historic landmarks, antique district and family-friendly community events. It's less than 30 miles from Seattle and 8 miles away from Tacoma, which makes big-city amenities easily accessible. Puyallup, which means "the generous people," was settled by Native Americans long before Europeans came to the area in the 1850s. Puyallup has been growing steadily in recent years, attracting new residents with its numerous amenities, quiet suburban lifestyle and beautiful natural setting. Because it's fairly close to the major city of Seattle, you can easily make the trip for shopping, dining and entertainment, while still being able to return home to a cozy, small town without all the hustle and bustle. Puyallup is close to many natural attractions, which is ideal if you enjoy the outdoors. Several lakes and the nearby Puget Sound provide many opportunities to enjoy a variety of water sports. Prime skiing locations like Crystal Mountain are within easy driving distance. 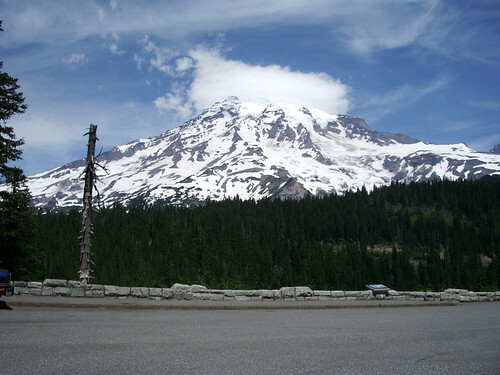 The iconic Mount Rainier is also nearby, and many places in Puyallup offer stunning views of the mountain. It does rain quite a bit in the Pacific Northwest, but when it's too wet to enjoy outdoor recreation, you can always head to Seattle or Tacoma to explore one of the local museums, go shopping or see a theatrical performance. It isn't uncommon for people in Puyallup to choose to commute to Seattle or Tacoma for work. The University of Washington, Boeing, Amazon and Microsoft are among the major employers in the region. The Puyallup area has mild weather throughout the year. Snow is possible in the winter, but is rare and very sparse. In the summer, temperatures are mild, seldom reaching above 90 degrees. Like much of the region, Puyallup is often cloudy, but it does have its sunny, warm days as well. Puyallup School District operates the schools in Puyallup. You can also enroll your child in one of the area's private schools, many of which are Christian-based campuses affiliated with local churches. Pierce College Puyallup is a local community college that offers a handful of two-year degrees and certificate programs. Utilities: Puyallup's primary utilities providers include Puget Sound Energy and the city utilities department. Garbage and Recycling: Most homes in Puyallup receive curbside collection services for both trash and recycling. Transportation: Pierce Transit operates a network of public transportation routes throughout the area. In Puyallup, you'll find a range of detached homes, condos and apartments. Some neighborhoods are in a somewhat rural setting, but there are also many homes near the commercial and business districts in the city. Home prices are rising but still remain much more affordable than the Seattle averages. Our lowest priced units in Puyallup, WA average $37.67 per month. 272 people have reserved units in Puyallup, WA in the past 30 days. There are 3 locations within Puyallup, WA's city limits. There is 1 location in Puyallup, WA that offers AC and Heating features.